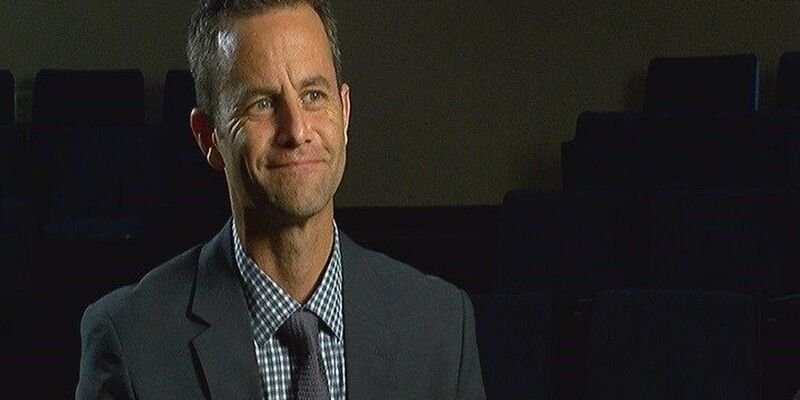 EAST TEXAS (KLTV) - Actor Kirk Cameron became a pop culture idol as the star of the 1980s hit TV comedy 'Growing Pains.' Raised in a family without God, he found is faith while portraying teenager Mike Seaver on the ABC sitcom. Now, as one of the most prominent Christian voices in Hollywood, Cameron is inspiring others by sharing his spiritual walk. "As a recovering atheist, I look back and I see how God used a friend who invited me to church even though I didn't have any interest in God, to hear the message of the Gospel, at a time that I was thinking about what life was really all about and what happens after you die and how did we get here in the first place," Cameron said. "My questioning led to some answers that sent me into church, to reading the bible, and I became convinced and persuaded that I wanted to be a follower of Jesus Christ." He's reaching millions through movies, documentaries, and TV shows with a family-centered message. Cameron's more recent acting and producing resume includes movies 'Saving Christmas,' the 'Left Behind' series, 'Mercy Rule,' the inspirational film 'Fireproof,' documentaries 'Unstoppable' and 'Monumental,' and as co-host of 'The Way of the Master' television series. "My pastor very wisely said to me, 'Kirk, I want you to remember something. You did not find God. He wasn't lost. You were and he found you.' And I said, you know that's right and it's important that I remember that that's the way it works. God finds me. I'm lost, I'm blind, I'm dead in my trespasses and sin. And I need God to open my eyes, open my ears, open my my heart and wake me up, bring me to life." In cities across the country, Cameron is teaching families how to live the gospel through 'Love Worth Fighting For' events for couples. "What really matters is character and faith. And if I can assist people in drawing them closer to God, and to their family, and getting their faith and their marriage and their parenting where it needs to be, then that gives me hope that I can be part of some solutions in the next generation." No topic is off limits. Cameron says it takes courage to defend one's beliefs whether or not they are politically correct. "You have to have thick skin, you have to be able to combine knowledge and understanding with compassion and a sense of honor and duty. If you can get all those things wrapped together, like Jesus did, then I think you can be a force to bring about a lot of change in the world. And we need that right now." With salvation at stake, he hopes others will confront any fear of talking about religion. "My worst-case scenario is this person's going to ridicule me, this person is going to tell me to get away. They don't want to talk to me. You know, they might even throw a punch. I don't know. But their worst-case scenario is much worse. To die without knowing God and knowing his forgiveness and his mercy and his love, the consequences of that, is dire. Therefore, I must let love swallow my fears and go and do what I know I ought to do." For Cameron, his work is a calling to connect with families and share his faith, along with a message of morality and ethics. "[It's about] lifting your head, understanding where your hope comes from, understanding what produces success and victory, and understanding that you and I can't do it in this generation. We've got to invest and pour into the next generation, and then empower our children to do it." Cameron also speaks regularly to groups of young people. In October, he delivered a keynote address at The Brook Hill School's 'Founders' Day' observance. "Education is not just about accumulating facts, it's about knowing what to do with those facts to affect change in the world. And so that of course requires not just knowledge, but wisdom. And that's something that is really only given as a gift from God. So people's faith is of paramount importance." Through movies and social media, he's connecting with generations of fans to help share the power of prayer.